Check out the barber shops that devote space to businesses that make a brilliant addition to their customers� core spend. Take Sue and Frank Gallagher, the location for their business inspired a whole new business model. Sue says �We were looking for a freehold shop that would suit our needs. There was a pub that had been closed down and we decided to have a look. The planning usage is the same class for a barber as it is for a pub and the council were great!� The pub in Birkenhead has won three CAMRA awards and funnily enough, there are never any problems with waiting times as customers are happy to prop up the bar until their turn comes. �It�s a great business and it means that we have more than one very healthy source of income but you have to work hard at both,� advises Sue. 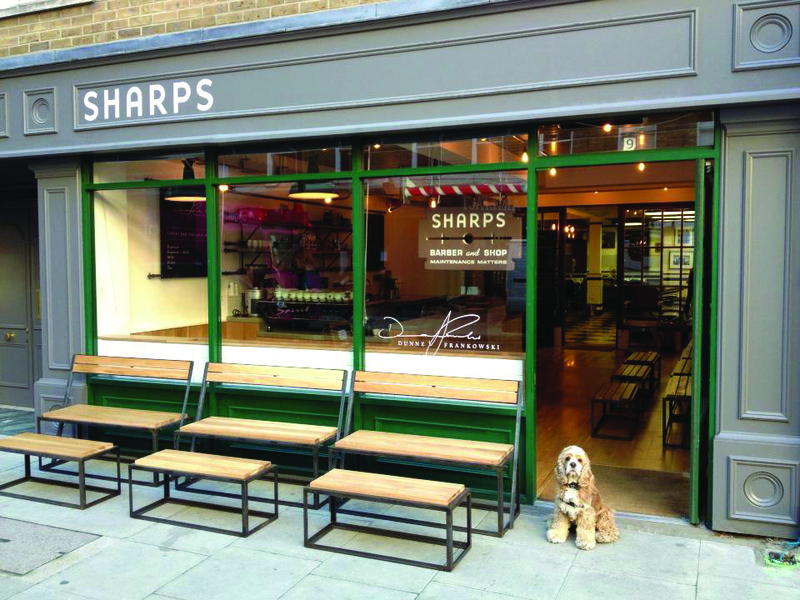 Sharps Barber & Shop in Windmill Street is home to a bustling deli and coffee shop. Approximately a third of the square footage is devoted to services, a further third devoted to the deli and coffee shop and the remaining third is home to the London HQ. �I wanted to find a place big enough to offer fantastic deli food and the best coffee in London, along side a very cool barbering experience. All in all it enhances the experience and puts bums on seats� says Founder Rory MacParland but he acknowledges that you need to be equally committed to the businesses you operate in order for them to thrive together. Earls & Co in Cheltenham is founded by Jessica Earl who has a traditional barbers and whiskey bar and lounge where every client can enjoy a complimentary whisky and shoe shine. Earl�s began as an idea during Jessica�s time working for Virgin as an in-flight beauty therapist. When Richard Branson came by the Virgin Upper Class Lounge Jessica took the opportunity to share it. Jessica remembers �Richard said �it had legs� and told me to go and write a business plan and find investment, so I did.� Jessica found her funding and the traditional styling of the interior, the top quality service and the whisky bar have all been a great hit. Earls has grown to add an upstairs Champagne Nail Bar and Beauty Room �for the ladies� and even has it�s own Private Members club, proving that Jessica�s entrepreneurial streak still has �legs�. So in summary�if you are going to do more than one thing�do each thing to the best of your ability and crack on! FB SWYD Tattoo & Barber.